That is right. 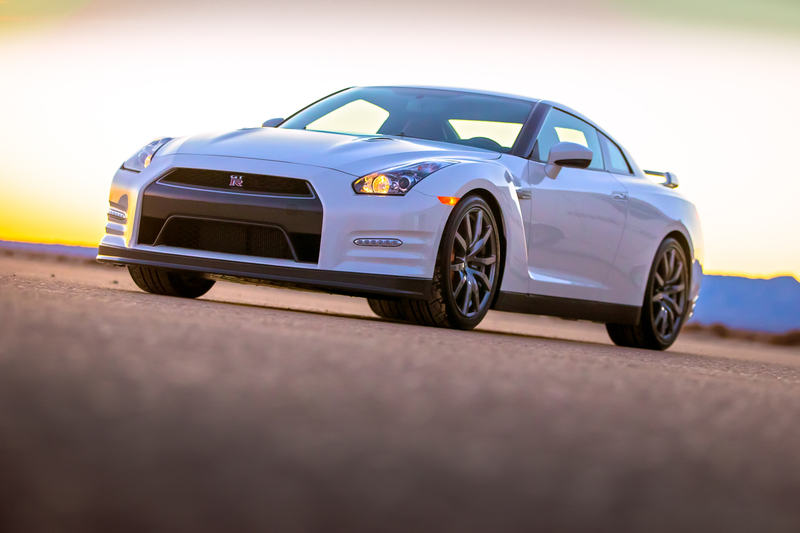 Nissan GT-R sales for January 2013 were up 140% vs January 2012. That also puts the year to date sales up 140%. Impressive, still not that many cars in real life. January 2013 saw 48 GT-R sales, some of which, a lot which are probably the minor updated 2014 model. They still move a ton of Altimas over 21,000 for the month. The 370Z was down about 20%, the LEAF fairly steady at 650 units. Total sales for Nissan and Infiniti were up 2% vs 2012. FRANKLIN, Tenn. – Nissan North America, Inc. (NNA) today reported January U.S. sales of 80,919 units versus 79,313 units a year earlier, up 2 percent. Nissan Division sales in January totaled 73,793, up 1.8 percent over the prior year making it the division's best January ever. Sales of Infiniti vehicles were 7,126, an increase of 4.9 percent over last January. Pathfinder SUV sales rose 202 percent to 6,281 units, led by the all-new 2013 Pathfinder that went on sale in November. Sales of the Sentra, led by the all-new 2013 model, totaled 8,979 units, marking an increase of 27 percent year-over-year. Versa, the industry's leading subcompact, delivered 10,270 sales, up 9 percent versus last year making for its best January ever. Based on a shortage of inventory during the transition to U.S. assembly of the all-electric 2012 model year Nissan LEAF, the vehicle recorded sales of 650 units in January, down 3.8 percent from the prior year. The 2012 LEAFs are now almost completely sold out, and the upgraded 2013 LEAF will go on sale later this month. "Nissan's core products that have been refreshed as part of our sweep of five new models in 15 months continue to deliver solid performance," said Al Castignetti, vice president, Nissan Division. With a 70.1 percent gain for the month, sales of Infiniti luxury crossovers and sport utility vehicles remained strong. Infiniti QX sales of 1,168 equaled an increase of 14.5 percent in January. The all-new Infiniti JX 7-passenger luxury crossover remains a popular new entry, with sales of 1,970 units in January. "After a strong close in December, we began our sponsorship of NCAA® Men's Basketball in mid-January, which will continue to help drive traffic to our showrooms through the spring," said Ben Poore, vice president, Infiniti Americas. "Sales of Infiniti QX luxury SUV and the Infiniti JX crossover continue to bring new shoppers into our showrooms." NOTE: To ensure consistency in global sales reporting, Nissan North America calculates monthly variances on a straight-percentage basis, unadjusted for the number of selling days. January had 25 selling days in 2013 and 24 selling days in 2012.